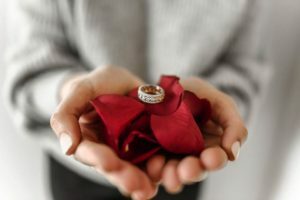 The wedding ring in which you present to your spouse is a symbol of eternal love. Just like there is no end to a circle, a wedding ring symbolises infinite love and the devotion you have for each other. Therefore, this single piece of bespoke jewellery can be considered as the most important piece of a wedding ceremony.